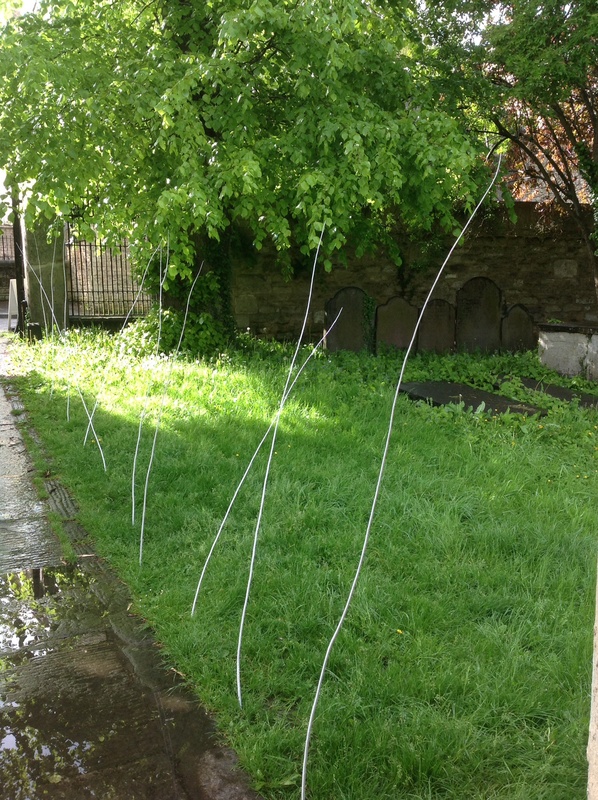 Withies looking like stitches in the landscape! 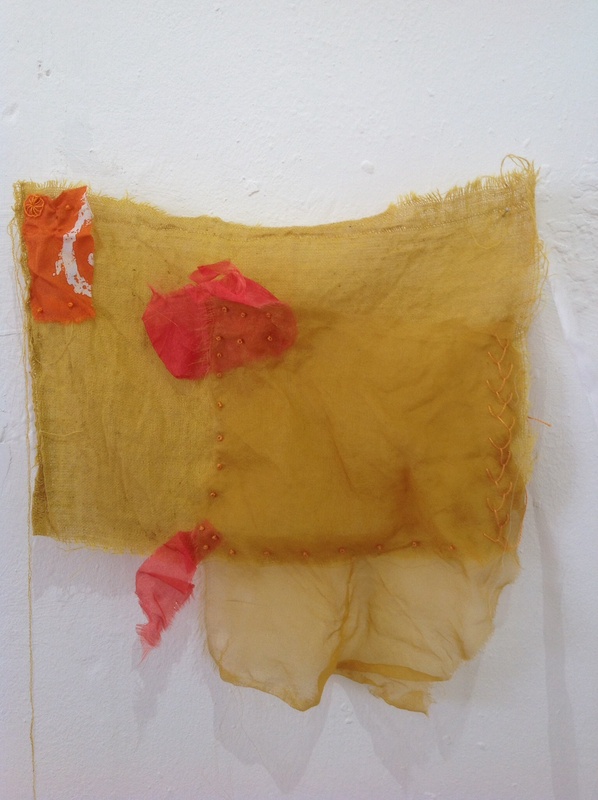 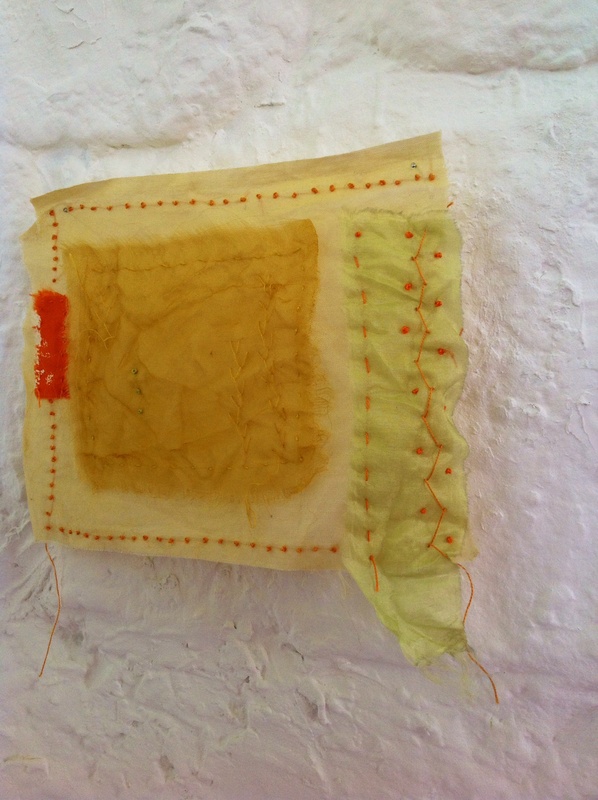 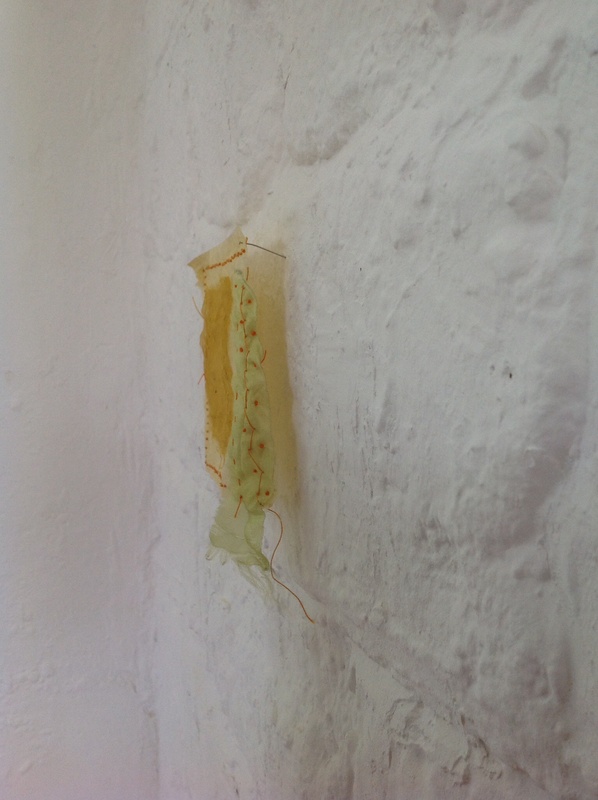 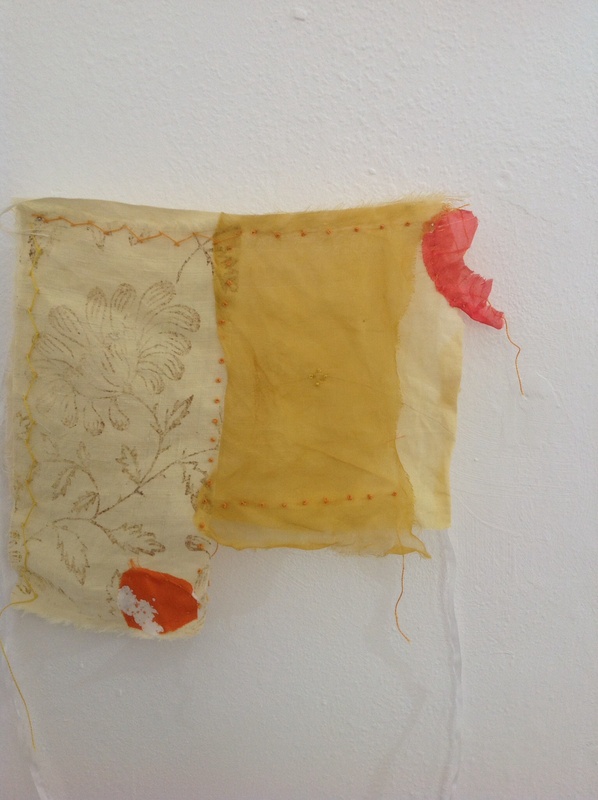 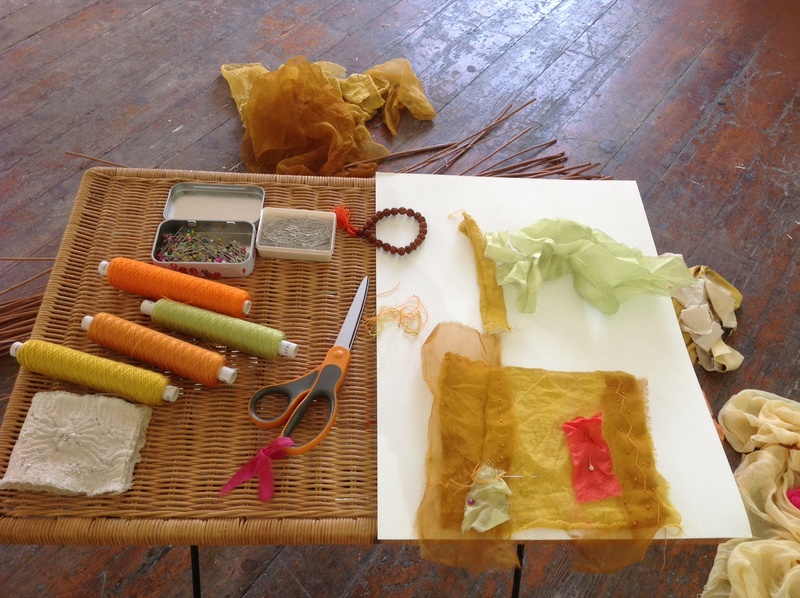 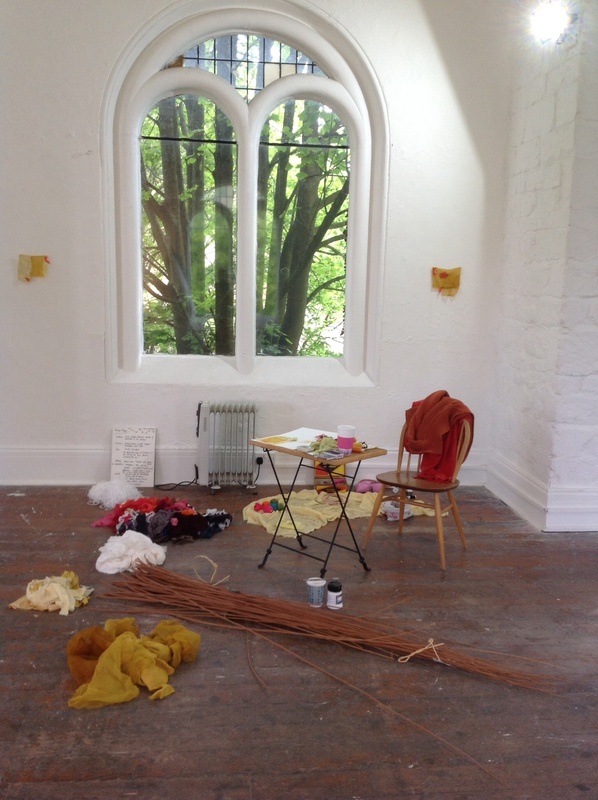 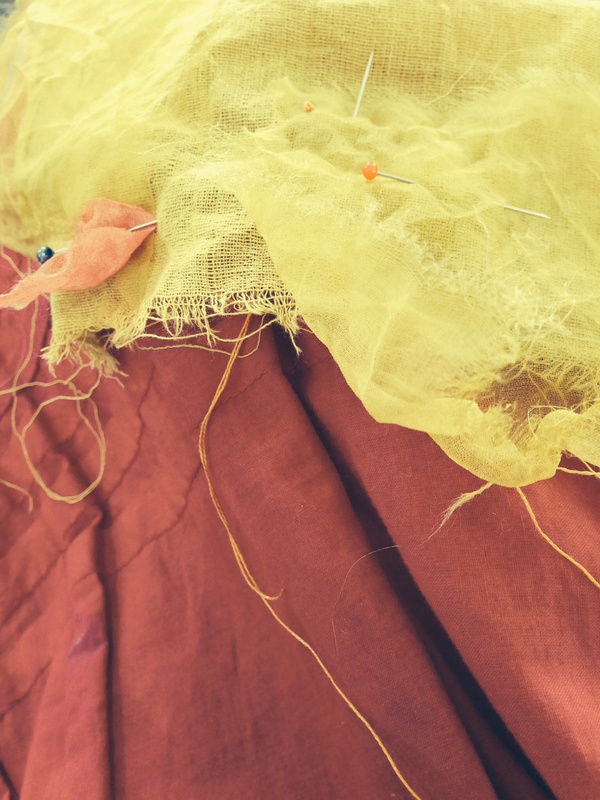 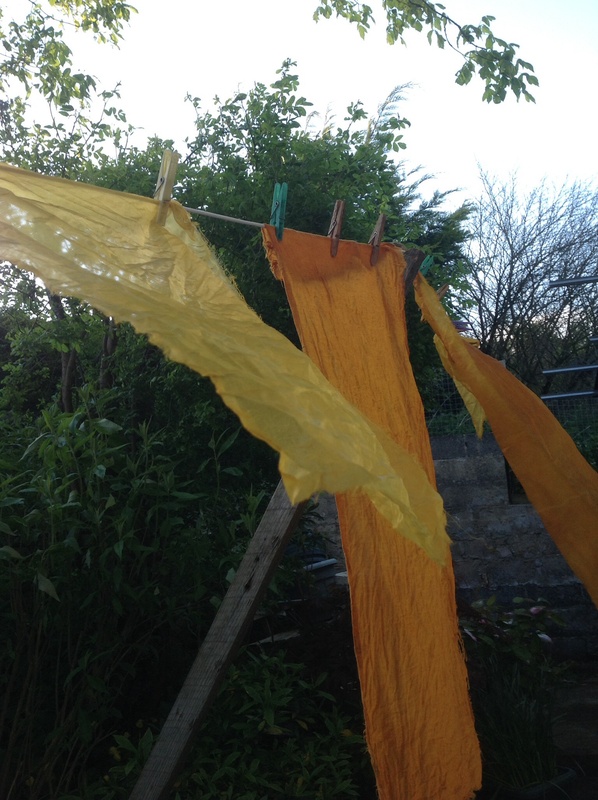 Cloth drying on the line – prayer flags in my thoughts – looking through the cloth and dreaming of the tea and turmeric drifting into the atmosphere..
Pinned gently to allow for movement, shadow and spaces to breathe! 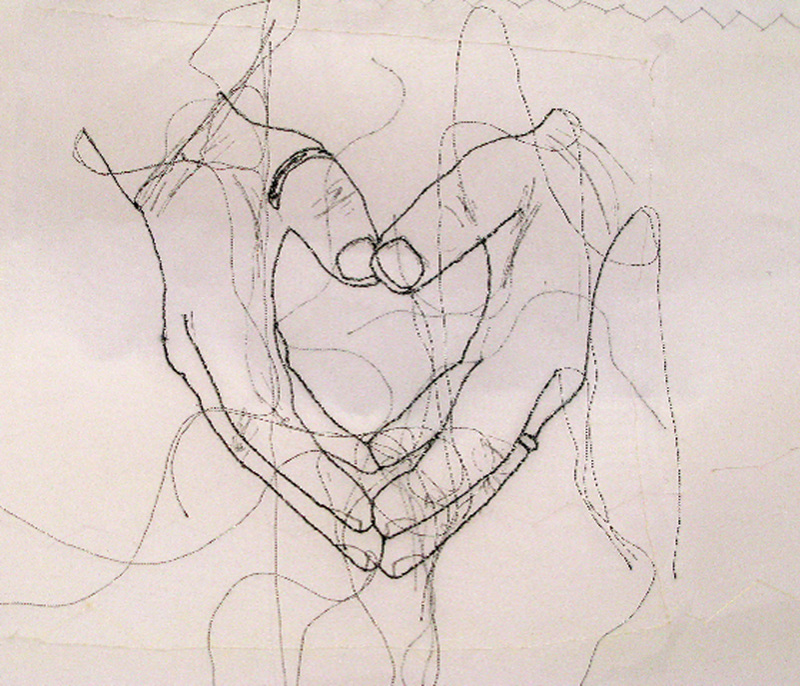 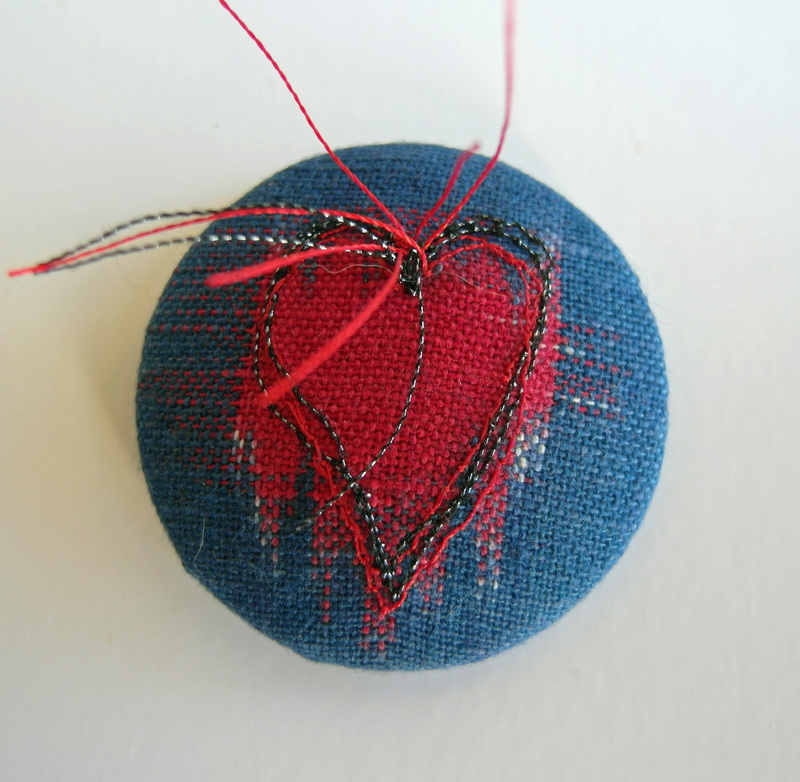 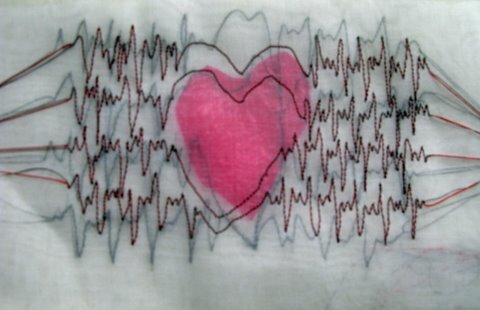 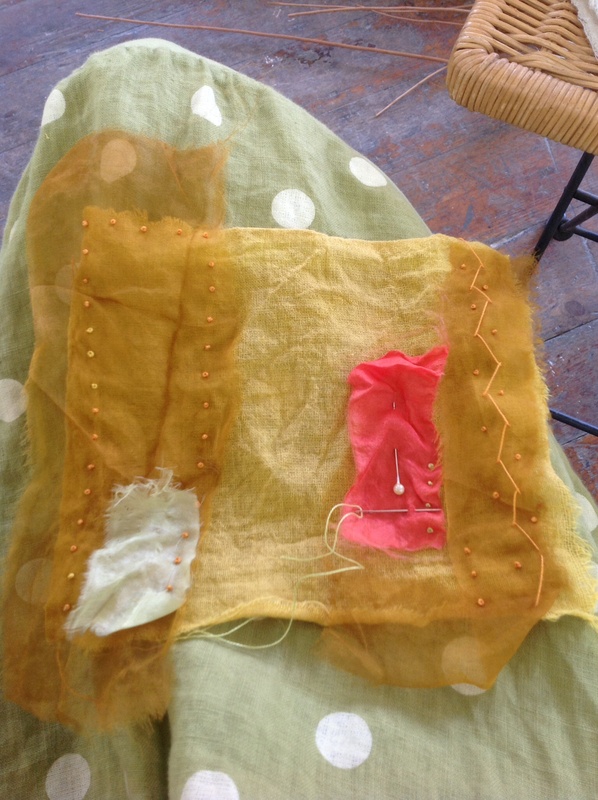 Over the course of the week I thought about what each choice of stitch reflects – what iconography. 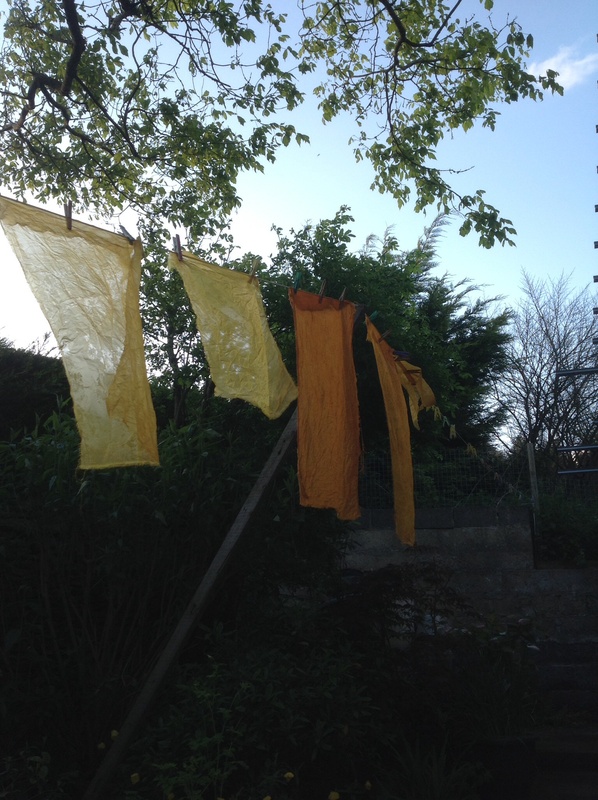 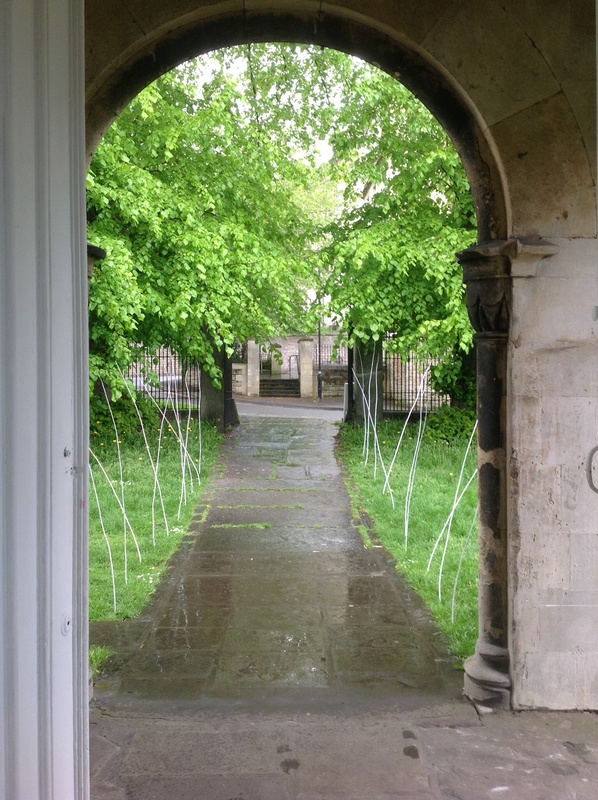 I had imagined Prayer Flags on these withies – but, in the spirit of responding to the place and experience, every morning as I placed them along the path they seemed enough in themselves – people smiled at the welcoming arms drawing them in. 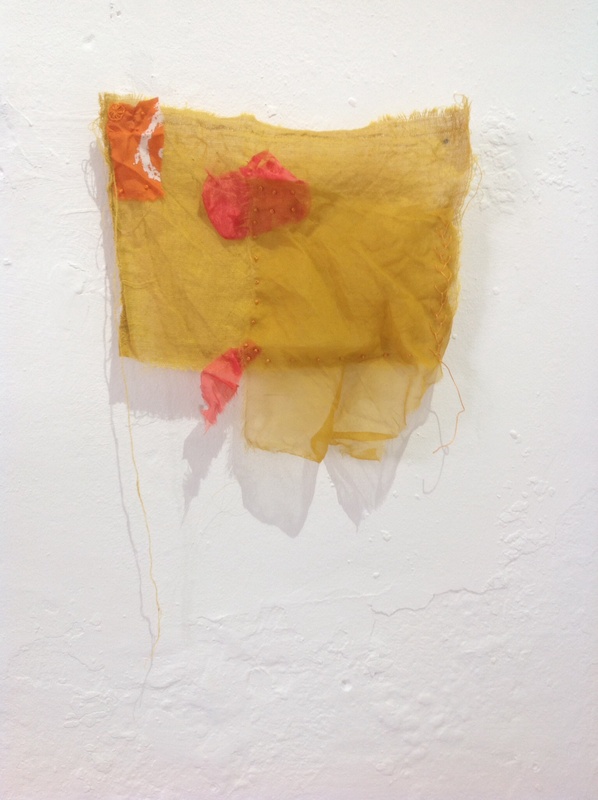 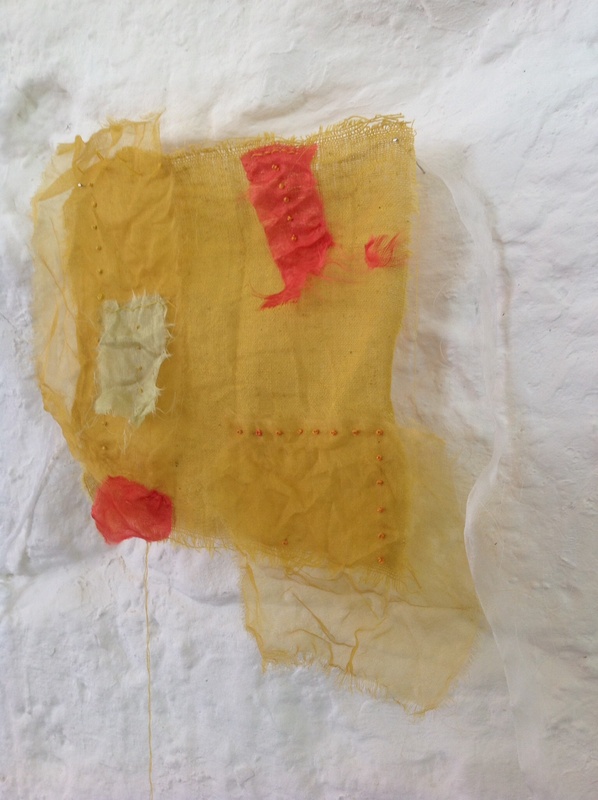 Such a joy to work with this – not to stick to predetermined plans, and take risks..
Catching fragments and working with a stitch vocabulary – of which more in the next post!